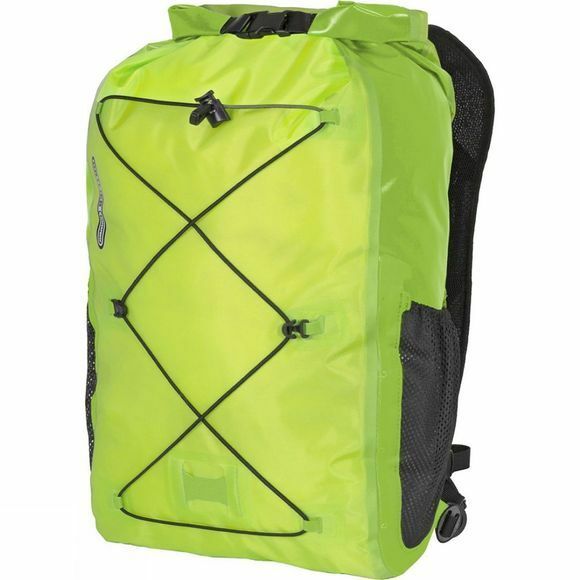 The waterproof Light-Pack Pro25 is a versatile daypack for numerous outdoor and watersport activities, be it as a second backpack for trekking, as a daypack for stand-up paddling or as a summit pack for expeditions. With a 25 L capacity, the lightweight pack offer plenty of space for a daytrip, and can be easily stowed away thanks to the small packing volume. Despite the light weight it is are extremely sturdy and durable. Light Pack Pro 25 is reduced to the absolute minimum to maximise the volume to weight ratio. For extra comfort it offers more features such as an inflatable back system, outer pockets for bottles and a front compression system with elastics for fixing extra gear.